How do I share YouTube videos on Google+? Option 1: Paste the YouTube URL in the post. Option 2: Use the Share Video option in the share box. 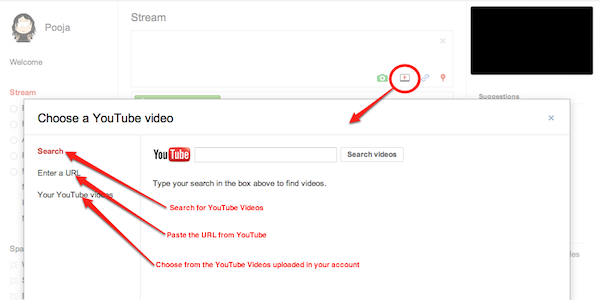 You can search for videos, paste a link to the video, or select from the videos in your account.